If you have no weekend plans yet, we've got an offer! Mr Green casino is running a promotion on their new mobile slot that's available exclusively on their site and their site only. Play Peter and the Lost Boys and you could win a share of the £20,000 that comes wagering requirement free. With individual prizes ranging from £50 all the way to £5,000, could this be the promotion where you finally strike gold? Only one way to find out. Also, the game comes from a hip new developer we've never heard of before – you must check it out! First things first, what's this mobile slot that we're talking about and who's the developer? Let us answer both of your questions. Push Gaming is a UK based developer that hasn't yet earned its stripes, but their games are steadily attracting a crowd. They're fully licensed with the UK Gambling Commission, so you've got nothing to worry about when it comes to the fairness and security of their HTML5 mobile slots. Maybe the lack of knowledge about this developer is precisely why Mr Green have chosen to get exclusive rights to a game, just in time before they start gaining momentum and could become too big to be interested in crafting exclusive mobile slots. That said, even NetEnt have done exclusive games for Mr Green in the past. You might remember the Mr Green Moonlight mobile slot, based on a previous NetEnt game that was available exclusively at Mr Green casino. Of course, eventually other casinos get to host the game too, but so far, Peter and the Lost Boys is available only at Mr Green, so if you're interested, why not take part in the promotion too? More deets below. We say £5,000 because that's the largest maximum prize, but of course there are more prizes that are smaller up for grabs. Actually, there are fifty cash prizes in total, but let's break this promotion down even further. Mr Green casino wants you to take a journey to Neverland to search for Captain Hook's prize pot and you've got time until May 31st to do so. This promotion won't require extortionate deposits or hundreds of spins, but a mere 20 spins on the game will get you a raffle ticket to the prize draw. Needless to say, the more tickets you have in the draw, the higher your chance of winning a prize, but even a single ticket can get you there. It's all about the lady luck, isn't it? At 25p a spin, you could secure a raffle ticket for just a fiver and it's definitely worthwhile when you consider the size of the prizes. You'll have to wait until June 1st to find out if you've won as that's when the prize draw for the 50 cash prizes will take place, but that wait won't matter. That's because the cash will drop into your pocket exactly was that – real cash with no wagering requirements. These fair terms and conditions is exactly why we love Mr Green Casino! Is The Slot Worthwhile Playing? If you log in and give the slot a few demo spins, you can be the perfect judge if it's worthwhile playing. But if you don't want to go through all that trouble, let us give you some unbiased advice. The game itself looks very cute and plays nicely. It's childish, goofy, yet inviting and sometimes yields prizes as high as 30x or even 50x your wager in the base game itself. Of course, what you must look out for are the features, one of which are the wilds. These aren't your simple wilds, you will notice. When two or more appear on your reels, they will reach out for one another, creating even more wilds on the reels and giving your win a big boost. Plus, there are the extra spins, which occur more rarely, but there are massive wins contained within the extra spins round. This is a 25 payline slot after all, so the scope for hitting winning combos is huge. And there is also a bonus game, where you can score further multipliers, cash and extra extra spins. So it's a shame that it's been under-reported and received little excitement from the mobile slot community. Mr Green's promotion is definitely going to rectify that. Plus, it will award 50 great cash prizes to the lucky players, who will be able to enjoy it wagering requirement free! 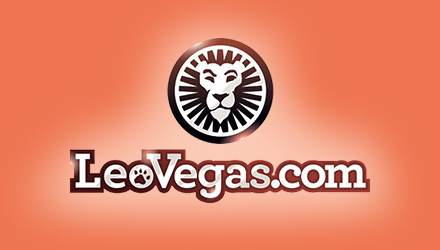 Catch The Red Snake At Leo Vegas For A Share Of £5,000!